For a $5.00 donation to Relay for Life, participants may make TWO cards at the Make N Take. Pre-registration is required since space is limited. For January’s class, we will be celebrating the Super Bowl for the second year in a row – “Super Bowl 2” – is a low, Shaker Cathead style Bowl Basket. With a square “cathead” base and a round top, this bowl shaped basket is perfect for serving chips or popcorn during the big game! The Super Bowl 2 – Shaker Cathead Basket class fee is $42.00, and is offered on either Friday, January 6, or Saturday, January 7. Class starts at 10:00am and may take until 3:30 or so. Seating is limited to SEVEN students. 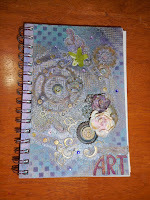 Terry is once again offering her “Gotcha Covered”/Journal Covers . 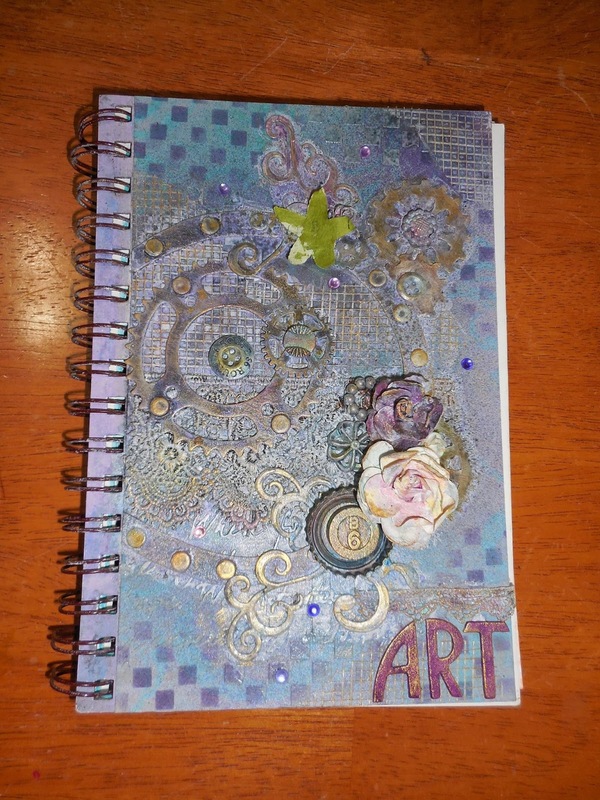 Participants have the option of bringing in their own journals (workshop fee $23) or obtaining a Strathmore Visual Journal (5.5” x 8”) from the shop (workshop fee $30). 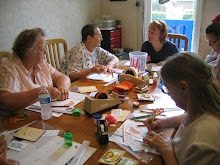 Terry will guide everyone through the process and provide an amazing assortment of embellishments and paper to work with. Participants will have the opportunity to experiment with a wide variety of products and techniques. Fun for all! Seating limited to EIGHT.